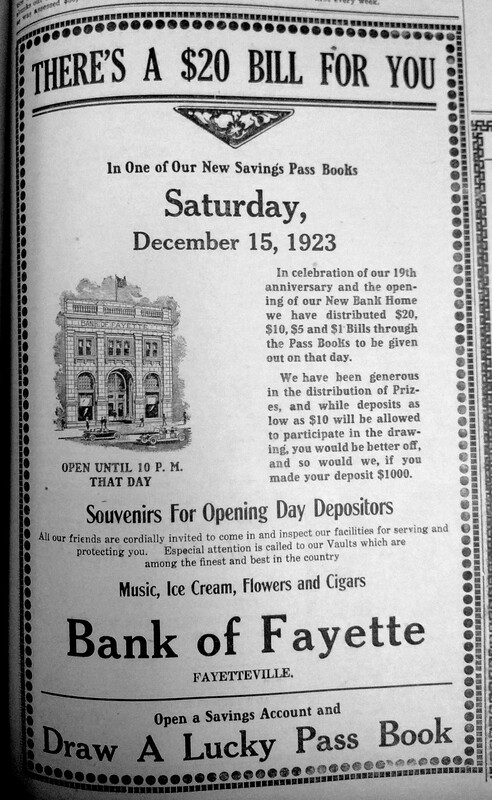 This gala event celebrating the bank's new home took place on Saturday, December 15, 1923. A newspaper article commented on the bank's new building saying that it was "perhaps the handsomest and most substantial in the county." The building's second floor contained several office suites. At the time the building the opened, the law office of Ostenton and Lee occupied half of the second floor. 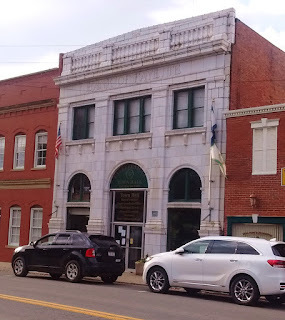 The National Register of Historic Places Registration Form described the exterior facade of the building as being marble but a 1923 newspaper article described the building's exterior as white terra-cotta, a type of enriched molded clay brick or block. 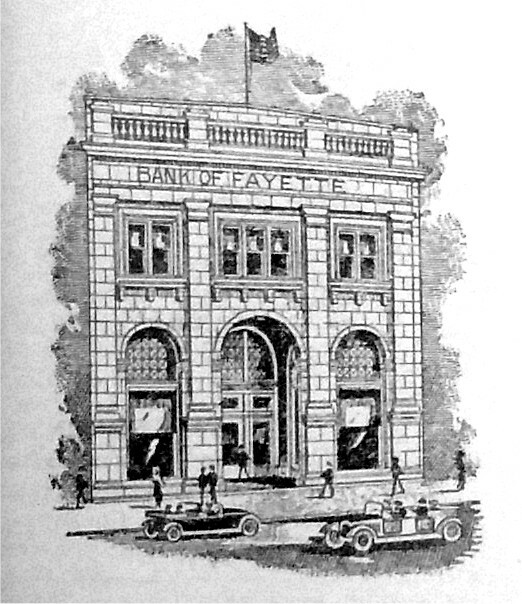 The Bank of Fayette began business in Fayetteville in 1904, becoming the town's second bank. The bank had previously been located just a few doors down the block, in the Malcolm Building, a native-stone structure on Court Street, which is today home to LaFayette Flats. 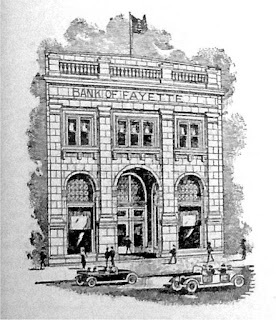 The building was presumably named for Dr. M. M. Malcolm, Vice President of the Bank of Fayette at the time of its organization. 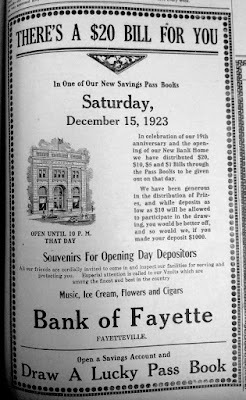 The Bank of Fayette failed during the Great Depression, closing it doors on January 26, 1937. The building currently serves as Fayetteville Town Hall, housing various town government offices. West Virginia 1920 "Blue Book"